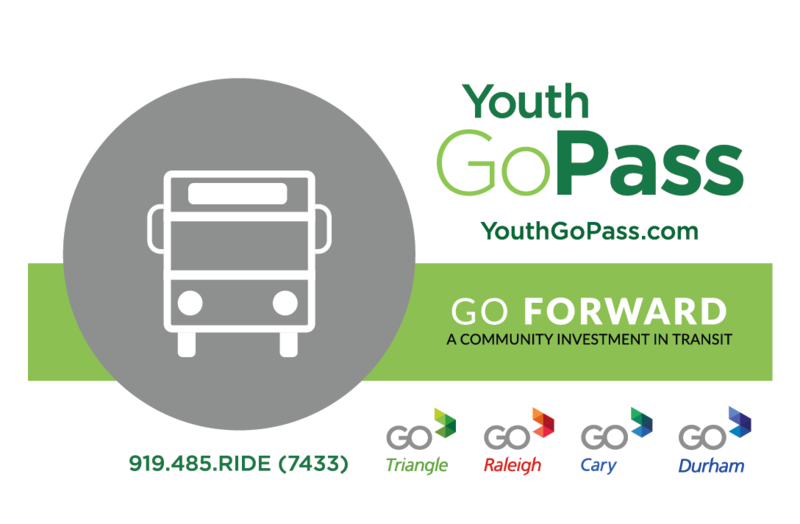 Beginning August 6, those 13 to 18 can use a Youth GoPass to ride GoTriangle, GoRaleigh, GoCary or GoDurham buses free! What is the Youth GoPass Program? How do I get a pass? CLICK HERE to print the application (Spanish application here) then fill it out and take it along with proof of age (copy of your birth certificate, a valid school ID, license or other government-issued ID) to one of our approved locations, such as libraries, transit agencies, community centers and regional centers. How does it work and where can I go? Plan your trip: Just plug in your location, destination and arrival time to see the possibilities. Get started with the Trip Planner! Track your bus: Download the free TransLoc Rider app and see your bus in real time. Need some help? : If you'd rather talk to a human or don't have internet access, customer service is always just a phone call away at 919-485-7433! Get to your stop five to 10 minutes early and wait where the operator can see you. As the bus approaches, check the sign above the front window to make sure it’s the route and destination you want. Signal the operator that you wish to board by waving your hand. As you board, insert your Youth GoPass into the scanner on the fare box and then take your seat. About a block before you want to get off, push the black or yellow plastic strip or pull the cord above your head to request the next stop. Exit through the rear door. 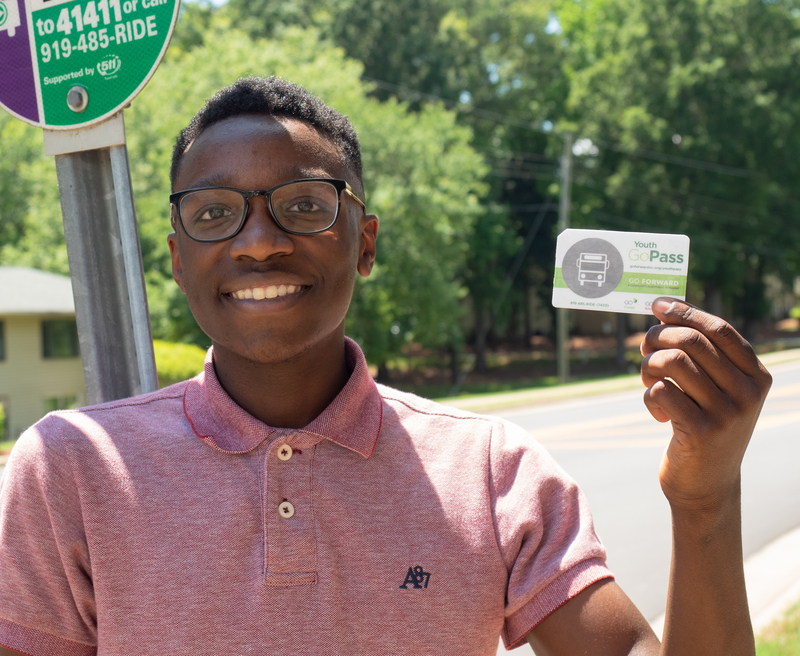 To replace a lost or stolen Youth GoPass, please visit your local transit agency. *A $3 fee applies for replacement cards. Your transit agencies would be happy to send a representative to your location to teach youth groups and teens how to ride the bus. Please email info@youthgopass.com for information.